Our Customer Service Department is ready to serve you with fast, friendly service, Monday through Friday 8 a.m. to 4:30 p.m. or by calling 906-228-0311. During an outage or an emergency, we are staffed 24 hours a day, every day of the year by calling 906-228-0300. The Marquette Board of Light and Power prides itself on low rates and fast, reliable service. We are proud to have achieved the designation as a Reliable Public Power Provider through the American Public Power Association. 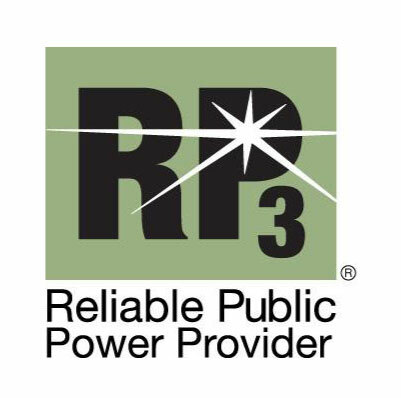 The purpose of the RP3 Program is to encourage public power utilities to operate an efficient and reliable distribution system by demonstrating proficiency in four important disciplines: reliability, safety, work force development, and system improvement.The RP3 Program shines a light on our utility for the excellent service it provides to our customers. For energy saving tips, please click here. If you need assistance paying your electric bill, there are grants available that may be able to assist you. Please click on the link below for additional information or call our billing office at (906) 228-0311. Please click here for a listing of agencies that have funds. For more information on our Community Solar Project please click here.